If there is a property era that I love more than any it would have to be the Victorian era, especially when looking at a double fronted one. 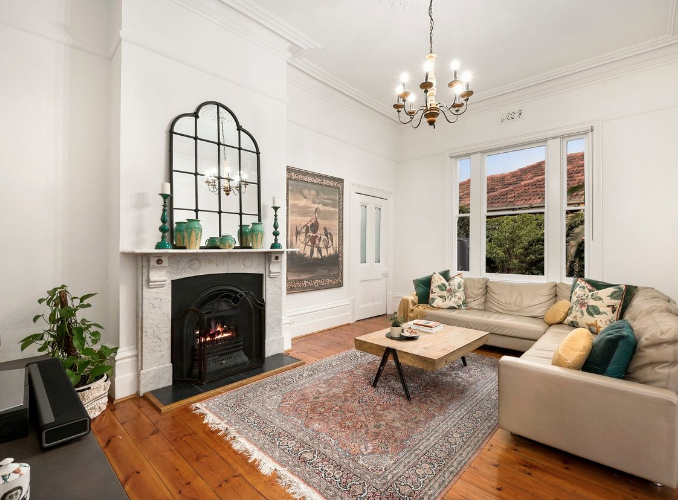 Set high on a great parcel of land at 41 Shoobra Road is a classic Victorian with a twist. 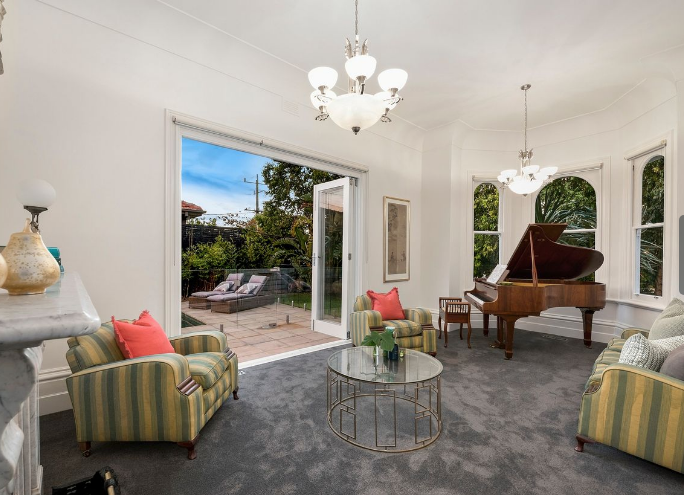 The original section of the house is exactly as you would expect, with four principle rooms running off the central hallway, all with original features (leadlight and fireplaces), beautiful high ceilings with ceiling roses and the formal living room with bay window. 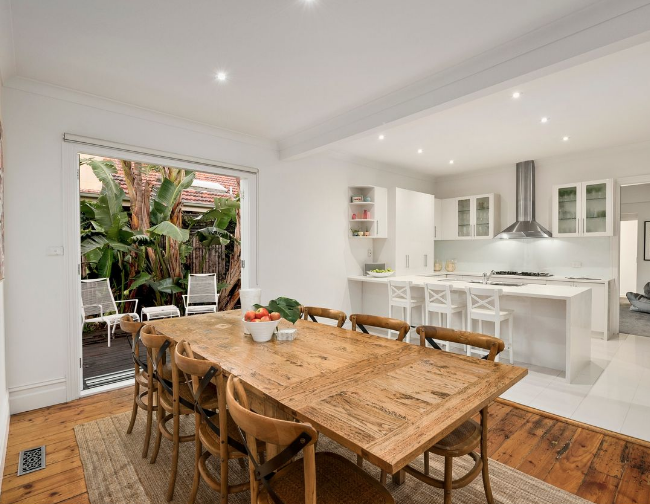 The classic verandah wraps around to meet the casual living room (in this instance) which then opens to the casual dining and kitchen spaces. The twist is in the second half of the home where you would expect to see a classic pushed out rear. 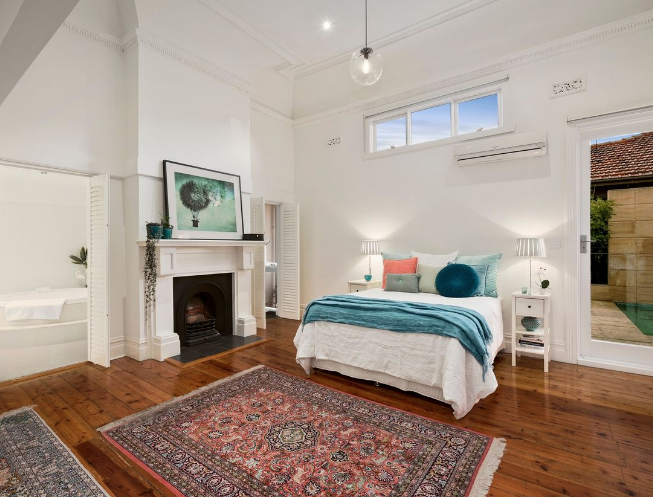 This however is replaced by a wide, long horizontal (to the entry hallway) room that is long enough to have Christmas dinners or large sit-down dinner parties. The master is off this room and has a door to the pool area, ensuite and walk in robe. To the rear of the kitchen is another living room or study or if you have younger children would be ideal for a playroom. The rear of the home has four bedrooms all with semi ensuites and built in robes and a main bathroom. The alfresco area (pool house) with bar (and beer on tap!) overlooks the pool area and landscaped gardens. This could double as another indoor living space with bi-fold doors in the cooler months. 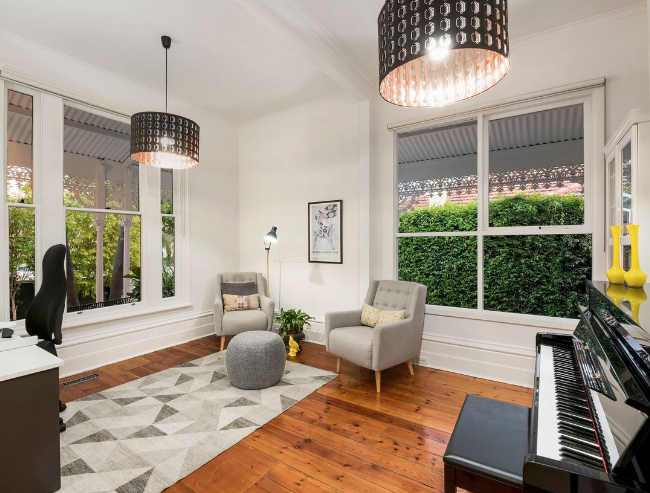 While the floorplan is not as conventional as some other renovated Victorians, it flows, has a lot of room for a growing family or older children with effectively their own quarters at the rear. If you have an art collection or want to start, then there are many great walls for artwork! In time you may want to upgrade the bathrooms adding value and to your own taste. 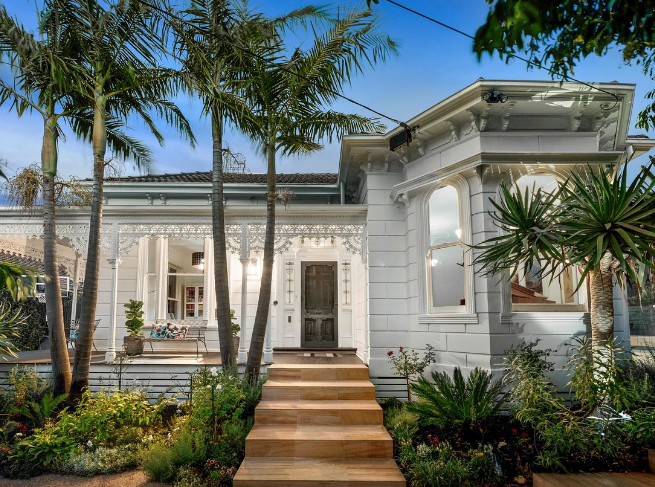 Overall, this is a classic Victorian home that is ready for a family to move in and enjoy. Walk to Glenhuntly Road shops, supermarket and restaurants, tram, buses and train at Elsternwick Station. 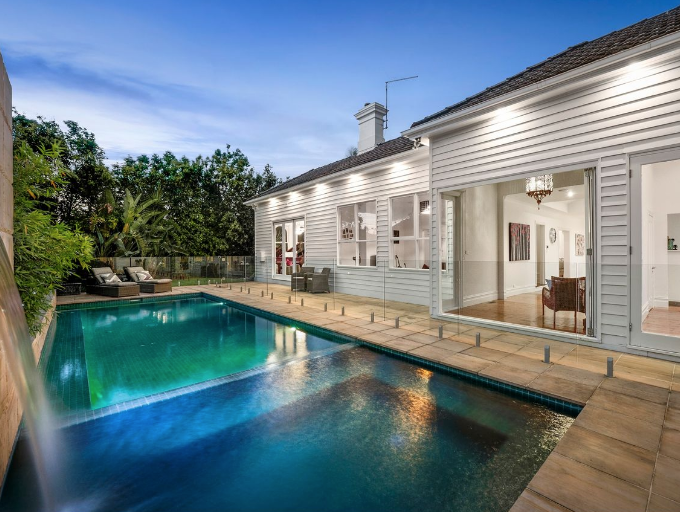 Nearby schools include Wesley, Caulfield Grammar, and Yavneh College. This property is going to auction on Saturday 2nd March at 12.00pm. 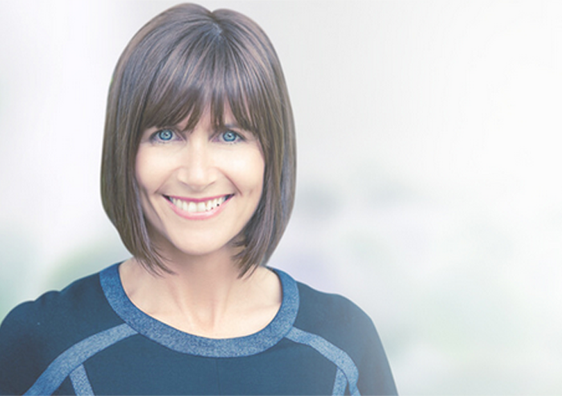 If you would like to discuss 41 Shoobra Road Elsternwick or property in the Elsternwick area, please contact us for a confidential discussion at nicole@nicolejacobs.com or call 1300 054 240.